With a stay at Riu Palace Las Americas All Inclusive - Adults Only in Avenida Kukulkan (Hotel Zone), you'll be minutes from Cancun Convention Center and Plaza Caracol Mall. 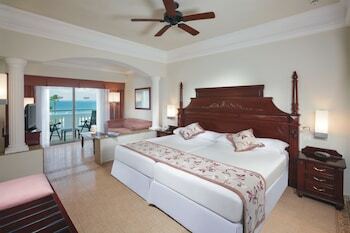 This 4-star resort is within close proximity of Caracol Beach and Forum By The Sea Mall. 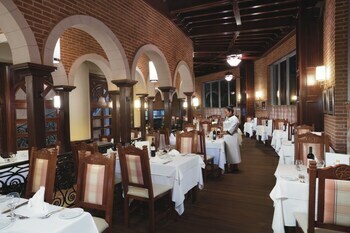 Enjoy a meal at one of the resort's dining establishments, which include 6 restaurants and a coffee shop/café. From your room, you can also access 24-hour room service. Relax with a refreshing drink from a poolside bar or one of the 6 bars/lounges. A complimentary buffet breakfast is included. 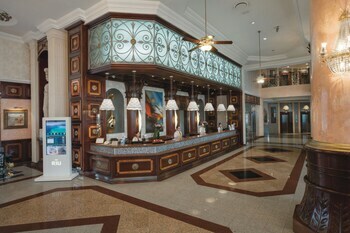 Riu Palace Las Americas is an amazing Cancun lodging choice for your trip to Mexico. With numerous amenities for guests such as 24 hour front desk, fitness center, gift shop, you will wake up at Riu Palace Las Americas feeling ready to go every day for your time in Cancun. Don’t let this amazing reservation opportunity pass you by, book your stay at Riu Palace Las Americas today to make the most of your time in Cancun, Mexico.